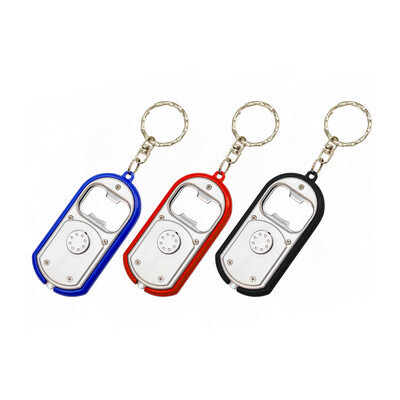 Features: Bottle opener with handy Led Light , comes with split ring and swivel clip, 3 colour choices. Price includes : 1 COLOUR 1 POSITION PRINT. Setup is included.